In the United States, Memorial Day is a federal holiday, held on the last Monday in May in the United States for remembering the people who died while serving in the country’s armed forces. Originally known as Decoration Day, it began in the years following the Civil War and became an official federal holiday in 1971. Memorial Day is not to be confused with Veterans Day, which is a day to celebrate the service of all U.S. military veterans. The term remembrance poppy is an artificial flower that has been used since 1921 to commemorate military personnel who have died in war, and represents a common or field poppy. Inspired by the World War I poem “In Flanders Fields,” and promoted by Moina Michael, they were first adopted by the American Legion to commemorate American soldiers killed in that war (1914–1918). Its opening lines refer to the many poppies that were the first flowers to grow in the churned-up earth of soldiers’ graves in Flanders, a region of Europe that overlies a part of Belgium. 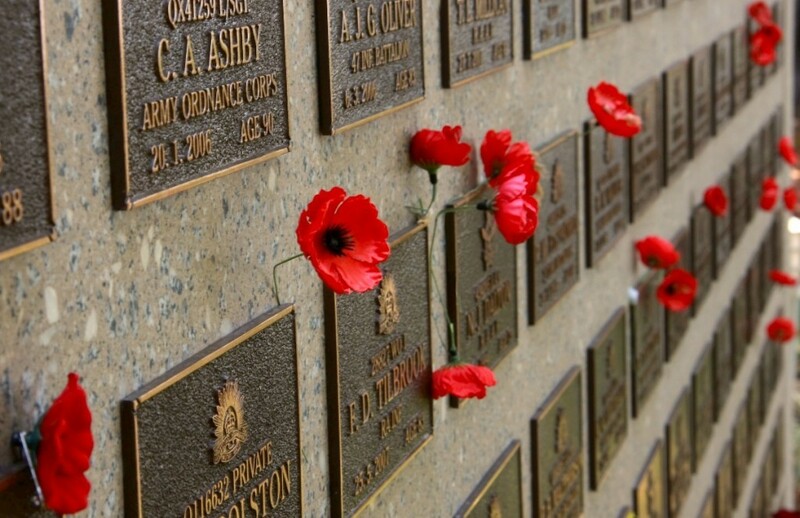 Poppy wreaths are also often laid at war memorials. Learn more about the history of Memorial Day here! Memorial Day is one of America’s most confusing holidays. Depending on the celebrant, it can be a day of grief, glory—or backyard barbecues. If you see someone who is struggling with Memorial Day this year, remember that not everyone views it as just a long weekend off. For some who are grieving the loss of a loved one, Memorial Day is a day of sadness and mourning, tears and pain. It is astonishing to them that anyone could possibly display fireworks or celebrate with concerts and barbecues. Some veterans may still be struggling because the memories are too painful, wondering if they are able to confront the past and spend Memorial Day with loved ones that remain. It can be difficult to know what to say or do on Memorial Day when someone has experienced the loss of their spouse, their sibling, or their child in war. Remember everyone grieves in their own way and someone that survived their loved one may or may not want to attend certain services/events, visit their loved ones grave, or talk about certain memories. But it is important the survivor knows they can grieve how they need to without feeling pressure or like you are pulling away when they are ready to talk. Be willing to sit in silence, go with them to emotionally difficult services, or visit their loved ones grave for support. Attend A Parade Many towns have parades on Memorial Day and some events even conclude with a memorial service. Decorate your home with Flags Break out the red, white and blue! Participate in the National Moment of Remembrance The National Moment of Remembrance encourages all Americans to pause wherever they are at 3 p.m. local time on Memorial Day for a minute of silence to remember and honor those who have died in service to the nation. Thank A Veteran, even if you don’t know them personally. Visit a Veteran’s home Chat with a vet for an hour or two, drop off a big plate of fresh baked cookies. Do something to let them know they are not forgotten. Visit your local Veterans’ cemetery Some graves are well-maintained by family members but when there are no living relatives, that chore falls on the shoulders of local veterans groups. Lend a hand by bringing some flowers (poppies!) and helping to beautify a few of the less cared for graves. Watch/Listen to the National Memorial Day Concert Broadcast on PBS and NPR, this concert on the west lawn of the United States Capitol includes music but also tributes to the men and women who gave their lives for their country. TAPS Good Grief Camps pair young survivors with active duty military and veteran mentors who understand the military and can companion these young survivors through their journey of grief. TAPS also offers Survivor Seminars that bring together families across the nation with focus on sharing with others in peer-based support groups, learning about grief and trauma from experts. They also offer Retreats for designed to create a strong sense of community and peer support among survivors by providing challenging group activities as well as multiple opportunities for conversation. TAPS offers a wonderful Help Line network of trained professionals who are on call 24 hours a day, seven days a week for Military Survivors. For other TAPS resources check out their survivor resource page here! On this Memorial Day, while you are enjoying the day off from work or having a picnic with your family, make sure to remember our fallen heroes and those that still mourn their fallen loved ones. Become a member of The American Academy of Bereavement today to find more resources on grief.